It has occurred to me, while doing a bit of exploring of thoughts and attitudes, that I’m actually an atheist. And I was wondering how this fits in with Buddhism, because on the one hand Buddhism says “there is no God” and on the other hand it says “there is a heavenly realm and there are lots of gods there, you can be reborn in that place”. One the hand, Buddhism doesn't point to a God but rather at ourselves, asking us to look at our actions and intentions with an eye to training ourselves to think and do what's skillful for the long-term welfare and happiness of ourselves and those around us. On the other, Buddhism also point to the knowledge that there's more to life than what we can see with our eyes and to be conscious of that. We can't always see our actions and their effects, especially when they don't ripen for a long time. Similarly, there are waves of light, particles, and dimensions we can't see, but being open to the possibility can be useful, whether by allowing our imagination to consider them to help us uncover new discoveries, as myths that we allow to impart underlying ideas and morals, or as things to inspire and comfort us. If it's not helpful or useful to you to think of them, then set them aside. But there's no harm if you can gain some insight from these stories and ideas and what deeper meanings they might be trying to impart. For myself I had to give up on Atheism when I found Buddhism. I had previously given up on Theism when I found sense in Atheism. I realised that to take on any beliefs and even to outright dismiss them without analysis was conjecture. When I'm asked about this stuff (and surprisingly I get asked quite a bit) I've gotten fond of saying I have that which makes he most sense to me according to the information I've gleaned so far and then I have a bunch of competing theories. In my mind it's like I've sort of equated belief to clinging and disbelief without analysis to aversion so the only position I could ever take is an agnostic one. That is, until we run out of the potential for incoming information. I make a distinction between small a atheist and capital A Atheist. An atheist simply lacks a belief in a god or gods, an Atheist believes there are no gods, makes a positive metaphysical claim. I consider myself a small a atheist, in that the notion of gods plays no role in my worldview. When it comes to some of the more mystical beliefs in Buddhism such as rebirth or the magical sort of karma, I think I'd define myself as more agnostic. I'm open to the idea and sort of hedge my bets making a kind of Buddhist Pascal's Wager, but it isn't an active or important part of my motivation or thinking about Buddhist ideas. I always thought I was an agnostic, until I ran across Russel’s teapot. At that point I realised that agnosticism was actually a position with a lot of problems - if you say you’re agnostic about God, then there are an awful lot of other things on the edges of imagination that you need to be agnostic about. Say the Flying Spaghetti Monster, for example, which is patently absurd. So from the fact that I felt safe ruling out all those other things bordering the imaginary, I came to the conclusion that I actually felt ok about declaring that I ‘knew’ God didn’t exist, atheist with a capital A. That and other reasons. Similarly I have significant doubts about karma and rebirth, although I’m willing to consider some form of afterlife because of experiences me and my father had together around the death of my stepmother. The one thing that bothers me about this is I feel rather churlish acting in opposition to other people’s beliefs, and saying it isn’t so especially when it is a spiritual belief is quite difficult for me. I guess I am naturally a very live-and-let-live person. Also, deep down, there is probably a part of you that knows you don't know either way for a lack of information. Russell's teapot doesn't really apply here because there is no burden of truth to contend with. I can say that in light of what I have gathered that a creator deity (a conscious prime mover or first cause) makes no sense to me. If I say there is in reality no creator deity because it contradicts what I know then I am only fooling myself. This is why I think agnosticism is really the only intellectually honest position. I like Russell's Teapot in thinking about this, it really helps clarify an important principle in opposition to Pascal's Wager. Namely that our choices aren't binary, but potentially infinite. Having said that I think we can use some metaphysical reasoning to help make some sort of educated guesses as to what might be more or less likely. Certainty in metaphysics is generally pretty pointless, though as an aside I think Nagarjuna's meta metaphysical approach has merit, but it can help narrow down possibilities. For example, Russell's Teapot or the Flying Spaghetti Monster. Both of them have a logical fallacy, that sort of begs the question. Specifically they both assert a man made construct and then place them in a situation where something man made is impossible except via magic. Less fallacious examples would be believing in a specific magic rock orbiting earth, or worship any sort of potentially naturally evolved alien species that we have no evidence for. To refine my position on karma and rebirth in light of infinite possibilities, reasons that make them more likely not less are that they are naturalistic and follow patterns we can see in the world and the nature of the first person, conscious experience is unexplained. That still leaves a lot of room for other explanations so belief in them beyond the possibility doesn't hold much water for me. Karma could just be that people react to you according to the demeanor you put out in the world. Consciousness could be, as Max Tegmark hypothesizes, an emergent property of the arrangement of matter. Well it does as an example of a thought experiment that people can think of to “put you on the spot”. Also you may not have direct information to prove God doesn’t exist, but neither does the believer have any evidence to prove that he does, and the burden of proof is on them. I’ll apologise in advance for disagreeing. Say I ask you as an agnostic what your position is on the Russel’s teapot in space between the orbits of Earth and Mars. I believe in it and I ask you to believe too... are you going to be agnostic to spacefaring teapots? And if not, then why not? I agree with this bit wholeheartedly and I often have to remind certain believers that although we are all entitled to our opinions and beliefs if we choose to hold them, we are not entitled to our own objective facts. This of course works for both believers and deniers. I’ll apologise in advance for disagreeing. Say I ask you as an agnostic what your position is on the Russel’s teapot in space between the orbits of Earth and Mars. I believe in it and I ask you to believe too... are you going to be agnostic to spacefaring teapots? That question/request makes no sense from an agnostic viewpoint. I can't just choose to believe in something I find unbelievable any more than I can choose to like the taste of sushi. The validity of Russell's Teapot and the FSM would depend on their probability of being true. They are way down on the list sure, but who am I to say there is no potential for it to be true somewhere even just by virtue of being imagined? Mind is kind of odd in case you haven't noticed. 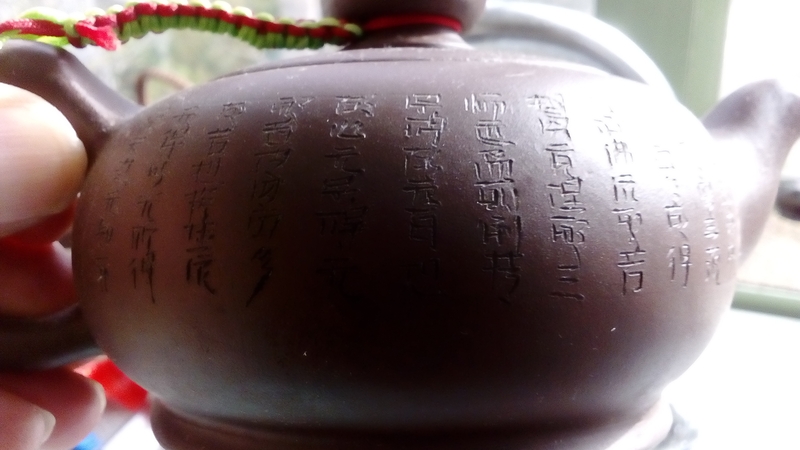 If there is indeed an infinite amount of potential versions of the universe within an eternal cycle then somewhere there could indeed be a teapot with Russell's name engraved on it via laser beam just waiting to be discovered. But that's just off the top of my head and yes, I surely sound silly but that doesn't mean what I say couldn't be true. That being said, I would still remind the believer that they don't really know for a fact because if they did they wouldn't have to hold it as a belief and it could be objectively known. So you choose to not be agnostic, saying I don’t know, to spacefaring teapots in this universe? So how is this different from the case with God? In both cases you were asked to believe in something incredible - a God who created the Earth in seven days and made man in his image, or a spacefaring teapot - yet your response and approach to evaluating the problem were quite different. As @person rightly pointed out, there is a potentially infinite variety of things we could repeat this with, and you’d happily be ruling them all out. Is there an element of social pressure to this, of not wanting to take an atheist position? 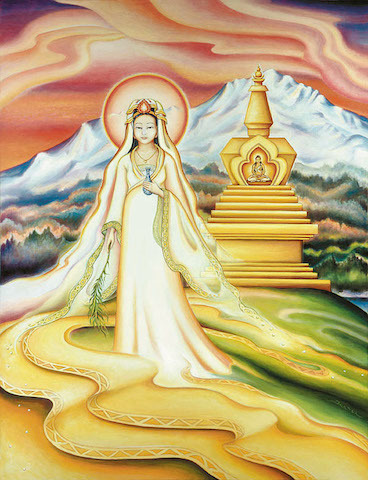 My understand of things is that Buddhism leaves the idea of the divine to the individual. Buddhism simply points at the path and it is up to us to follow it and find guidance as we need it (within the realm of our own understanding). So you choose to not be agnostic to spacefaring teapots? So how is this different from the case with God? Maybe I was editing but that question makes no sense and I feel I just went over it. 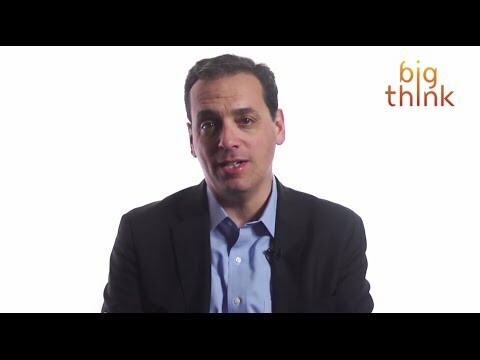 Agnosticism stems from the recognition that we simply don't know for a lack of information. In both cases you were asked to believe in something incredible - a God who created the Earth in seven days and made man in his image, or a spacefaring teapot - yet your response and approach to evaluating the problem were quite different. Could it be that social pressure causes this difference? No, not even close actually. There is what makes the most sense according to the information I have gathered at the time and then I have a bunch of competing theories. 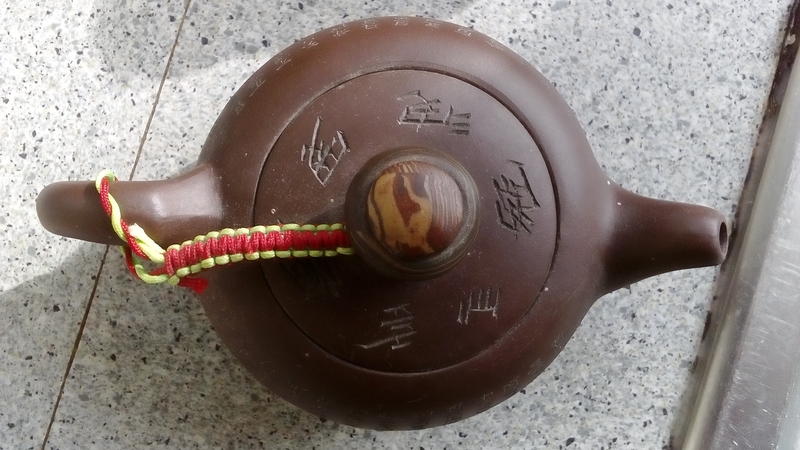 A deity that made everything is less probable to me than a spacefaring teapot. The reason being the teapot hav a chance of existing within an infinite and eternal universe whereas a beginning to that universe or even an outside of that universe does not. Agnosticism does not mean accepting all beliefs as equally valid or all possibilities as equally probable are you kidding me? Not all beliefs no, but everything within the bounds of the imagination has to go through the same hopper to see if it’s true or not. Your bunch of competing theories has one entry point and a few exit points apparently. I reckon that if we started going through the infinite possibilities - leprechauns? angels? - we would soon find a few you’d have to put an agnostic “I don’t know” label on, because you couldn’t disprove them (in fact the teapot can’t be disproven either). The point is, we know darn well these things don’t exist. It’s just that social conditioning has likely shifted the boundaries at which you feel justified saying that about a Christian God. No, sorry lol. It doesn't work that way. If I've offended you I apologize but you asked a question and all I did was answer to the best of my personal abilities. You need more than logical fallacies to counter my position. I have found that having a belief in a god or gods could hinder the path.. I enjoy my gods, thank you very much. I just don't believe in them is all. I don't want to risk making my mind into their prison. I actually don't give it much though one way or the other. If God exists, it really doesn't affect me. If God doesn't exist, it really doesn't affect me. I'm far too busy getting what I can see, hear, taste, touch, smell and think about, right, without even venturing into the "Yeah, but.... what if....?" And I honestly don't know how much of that I have left. So I'd rather spend it practising, than speculating. I'm not exactly sure what you're asking here so I'll just say that my position is that we simply do not know 100% either way and if we think we do we should at least consider the fact that we could be wrong and/or kidding ourself. This is why I feel it is the only truly honest position in this. Not all the information is in as far as I can say and so to come to a conclusion is the definition of conjecture which is something Buddha wasn't too keen on afaik. Well, I was attempting to show the logical process by which I arrived at my position that agnosticism is largely a cop-out, and there is no such thing as an “I don’t know” position on this. But it’s the first time I’ve tried to show this argument, and perhaps I missed out a step. I might divide agnosticism into two categories as well. There is the I think something exists, but I'm not sure and there is there is no evidence for something to exist but it remains a possibility. @Kerome said: ....there is no such thing as an “I don’t know” position on this. But as I already said, I also, don't care. Yes, you do seem to have a mistaken premise about what agnosticism really is. In the end all the thinking in the world doesn't change us much, if at all, on the ground floor. So to that extent it does come down to practice. We've had our share of belligerent academics come through here, who could parse the hair off a fly's behind but quite obviously hadn't put a lick of it into practice. As per Lipstick on a Pig? maybe all we are doing is post hoc rationalizing of our intuitive positions. I do feel though that humans, as a species, has made philosophical and moral progress because we are able to articulate our attitudes "on paper". When we "show our work" we are able to let others peer review it and work out in the market place of ideas which views are worth putting into practice. The Buddha didn't just pass on his realizations by giving the flower sermon over and over again, he expounded his philosophy, answered questions, gave stories and arguments for his positions and against others. We all have differing dispositions, and speculating isn't such a waste of time for you that you weren't able to take a few seconds to comment here on the proper attitude towards metaphysical uncertainty. It's funny because I do have gods on my shrine but I have them there to remind me of the qualities they are said to possess and not because I believe they objectively exist. I am OCD about it though. My shrine has to be arranged just so. 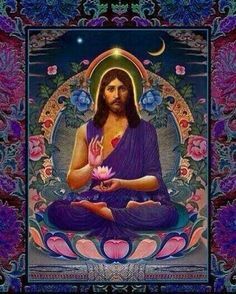 I want to find Jesus for my shrine as well but he would be close to Lao Tzu or maybe as an incarnation of Vishnu, not sure. Oh wow, I wouldn't have him on my shrine stuck on a stick in his death throes. I wouldn't take away from his personal message by putting him in full lotus either. If all else fails I'll substitute a Ben Kenobi action figure. Yoda might end up there too actually. I'm not aware that Buddhism says anywhere in its scriptures, that "there is no God". What the Buddha said, is that whether or not there is a deity, a Creator, a Supreme Being (or Beings), is irrelevant to personal Liberation. There are debates among scholars of the Buddhist canon, as to whether some of the teachings attributed to the Buddha actually found their way into the canon as a result of later outside influence. For example, in the Buddha's earliest discourses, he responds to a question about karma manifesting in later rebirths, by exhorting his followers to not concern themselves with how their present actions might influence future rebirths. He says, rather, to focus on the benefits to the current lifetime, of cultivating virtue, compassion and insight. Why? Is there a rulebook somewhere that says this? that agnosticism is largely a cop-out, and there is no such thing as an “I don’t know” position on this. Carl Sagan would disagree and he was very logical. He believed "I don't know" is the ONLY logical thing to say. As he used to say " “absence of evidence is not evidence of absence.” Otherwise, you would be committing the logical fallacy of "Argument from Ignorance". If you want to be purely logical, one should never "argue from ignorance". God exists is an argument from ignorance, God does not exist is also an argument from ignorance. So, the only logical position, is no position. A truly logical position is based purely on positive evidence, not a lack thereof. God does not exist is also an argument from ignorance. So, the only logical position, is no position. A truly logical position is based purely on positive evidence, not a lack thereof. However, there are a near-infinite number of things one is ignorant about. Yet we know the vast majority of them are not true. We know intuitively, out of our pool of extended knowledge, that this is so, that if someone claims that the moon is filled with spare ribs, they deservedly get shouted down. Still on the question of a creator God, we don’t seem to apply the same logic, although it is just as far-fetched a position. It is in fact a mythology, of which we as a species have made many. For example the Thai people have a myth that a great serpent threshed around in a milky sea, and out of the churn man was made. So what makes one myth more true than another? You can say you are a-gnostic (a: not, gnosis: knowledge) on the subject of all mythologies, but the fact that they are all man-made artefacts points to something more correct, that none of them are true, and the scientific process of examining the astronomical origins of the universe are closer to a realisation of the truth of creation. I largely agree with you but don't think all truth claims are equally reasonable. Take the spare ribs in the moon example. Spare ribs are a human created phenomena made from an animal. So to make the claim that the moon is full of them isn't just a truth claim made in a vacuum, it directly contradicts what we do know about reality. To make a claim within the gaps in our knowledge isn't equally dismissible. That's not to say it IS true or we need to accept a claim on insufficient evidence, just that we can make a differentiation between contradictory claims and claims from ignorance. Here's a short video explaining a similar technique. 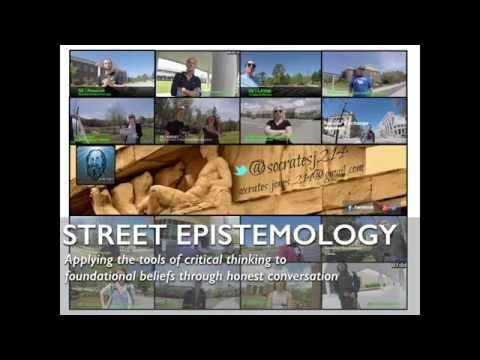 I agree with your video that the goal isn't necessarily to convince someone their beliefs are wrong but to help them think and reason about beliefs in a more productive way. Directly challenging beliefs often just causes people to dig in and reject any arguments out of hand because "FU". Still on the question of a creator God, we don’t seem to apply the same logic, although it is just as far-fetched a position. It is a far fetched position, if you are going to try and assert it as fact! However, to make a claim about things where we have NO extended knowledge at all, on either side, is also far fetched if you want to be purely logical. We DO have extended knowledge when it comes to spare ribs and tea pots, because we invented them, etc. We do have extended knowledge of the moon because we have visited it and studied it, etc. We don't have ANY extended knowledge, that meets modern scientific standards, in either direction, when it comes to things like hell realms or devas, etc. How would it even be possible to have gain extended knowledge of such things, assuming for the sake of argument that they are actually real? You can't. When you have no such knowledge, nor any way to obtain such knowledge, no claim can reasonably be made. You can formulate beliefs sure, but you can't assert them as if they are facts. Not if you are being purely logical. You can assert that it's logical to not believe in hell realms, sure, because there is no real evidence of them. However, as soon as you try to assert that belief as if it is a fact, that's where it becomes illogical, because all you have to go on is lack of evidence to the contrary. You can formulate beliefs sure, but you can't assert them as if they are facts. Not if you are being purely logical. You can assert that it's logical to not believe in hell realms, sure, because there is no real evidence of them. Well, what we are debating is almost entirely about whether it is reasonable to hold certain beliefs, not what can be solidly proven as a fact. If you’re happy to say it’s not logical to believe in things that have no direct evidence for them, then fair enough, that’s a stricter standard than I would have set. Admittedly the argument crosses some boundaries. We now know the Earth is some 4 billion years old. That is fact. That contradicts the Book of Genesis, and so disproves the Biblical creation story which was long held as literal truth. What does that mean for the truthfulness of the bible, and the existence of god? You decide. Buddhism not only makes claims about the existence of hell realms but, at least in what I've come across in TB, states their location as being underneath Bodhgaya. They give distances in the old Indian measurement of yojanas. I did the calculations years ago and it wound up putting the deepest level of hell somewhere all the way through the earth ending up in space between the earth and the moon. So I think we can categorically reject that claim, and with that and other truth claims made in old Buddhist texts say that Buddhist claims about external reality are not perfectly reliable. An argument made by many traditional Buddhists as a reason to accept karma and rebirth is that so much of what the Buddha said can be verified as true that it is logical to at least provisionally accept other things the Buddha claimed as true too. I myself accepted that reasoning for many years. Now I would make a distinction between two types of truth claims made by the Buddha. The first type are claims about internal subjective states of mind, these sorts of claims do seem to be very reliable and, at least so far, have stood up to scientific evaluation. The second type are claims about the external world, to the best of my knowledge pretty much all of these types of claims that can be checked scientifically have been shown to be false. That's not to say that hell realms or god realms couldn't just be what it is like to be born on an alien planet with hellish conditions or some advanced techno utopia. I'm open to the idea that rebirth and karma are still a possibility on the argument from ignorance of the nature of consciousness. I once had a dream that felt very much like a fragment of a past life. I was riding home late at night on my horse and I rang a bell to let my pregnant wife know it was me arriving and not someone else. It all felt emotionally very real. The next night I had a similar dream that also felt very much like a past life, in this one I was an extreme athlete bro that was getting ready for a bungie jump or base jump or some such thing, as these are very recent inventions it's highly unlikely that it was a past life memory. So I don't really know if past life recall is very reliable. If the details are verifiable it could be an indication, but for it to be evidence that it is a past life you would have to rule out hearing about the details somehow or since you're allowing for the possibility of paranormal occurrences even some sort of event where you gain the information psychically. Well, that sort of blew out of my mind. Anyway I believe it's important to be skeptical without being close minded. What does that mean for the truthfulness of the bible, and the existence of god? You decide. I don't know, I don't believe in the bible or in God. I don't think you can say that much because hell realms are not even of "this world" to begin with. They are purported to be an entirely different realm of existence. We have knowledge of human and animal realms and that's it. The extended knowledge we have of the human realm is not even applicable. Even if you had full and complete knowledge of the human realm, that still wouldn't help you. The only thing "very likely that they don’t", has to stand on, is lack of evidence. That isn't much at all, not from the standpoint of logic. According to the knowledge we actually have, there is nothing to base any likelihood on to begin with, in either direction. However, belief in hell realm can be reasonable, if you believe the Buddha was actually fully enlightened, knower of all worlds, etc. It's not unreasonable to simply believe that the Buddha was telling the truth. Especially so when you have personally tested many of the things he has said, and personally found them to be true. When that is the case, it's not unreasonable to assume the rest of what he said is true also. For example, say a person tells you 100 things. With 80 of these things, you can go out and personally verify for yourself their truthfulness. You actually go and do that and determine, for yourself, that all 80 things are in fact true. With these other 20 things, you don't really know how to test them for yourself or you just can't. However, the person that told you these things now has an impeccable track record for telling the truth so far. You have personally found for yourself that this person is very wise, much wiser than yourself, and extraordinarily trustworthy. You are fully confident, due to your past experiences with them, that they actually do know what they are talking about and they are in fact a most supreme expert in such matters. Given all of that, it's quite reasonable to just believe them. The above point is, I believe, where Buddhism becomes a religion as opposed to a philosophy. Which is OK! But not for me, and not for many other folks who approach Buddhism from a skeptical point of view. I don't believe anyone just because they're trustworthy. It helps, but it isn't an absolute determining factor. On the other hand, I also don't disbelieve someone because other claims they have made are either implausible or proven to be untrue. Here's an analogy... I'm coming up with this off the top of my head, so please tell me if it doesn't hold water. Let's say there is a math teacher. This teacher shows problem after problem and provides the method of solution. She encourages the class to utilize the method and see for themselves what happens. When students have trouble grasping, the teacher changes the angle of the lesson to attempt to explain in a way that each student can understand. She patiently directs each students' irrelevant questions toward a line of thinking that will be helpful towards solving the problems, and away from lines of thinking that may confuse or obfuscate. Eventually the class comes to see the teacher as knowledgeable, trustworthy, and sympathetic- and the class, through experience and observation, believes that future experiences with the teacher regarding math will be similar. Why wouldn't they? In all of these students' minds she has never been wrong, never been unkind, never been disingenuous, and has always been able to eventually guide the students toward a solution that they can reach on their own using the method that the teacher provides. One day the teacher shows the class a problem, shows the solution, encourages practice, just like always. The students, respecting her and expecting the experience to be in line with previous ones, work on the problem. Some follow the method to the solution. Some, however, find that there are gaps in the method that make the solution impossible to reach. They pose their questions, and the teacher answers them by saying that certain parts of the method require assumptions that are unverifiable. These assumptions are part of the method because they have been a part of other mathematical principles in the past which were generally accepted by most mathematicians. She has created this method of solution and is confident that it works, even though it has gaps that cannot be resolved through observation. The students ask why- if other lessons in class only included provable methods of solution, should they make unverifiable assumptions in order to solve this problem? Instead of making assumptions which aren't provable, why not just leave this problem aside and consider it to be without a solution for the time being until more verifiable information comes to light that can solve the problem without assumptions? The teacher states that her track record should show them that taking her advice and doing math in the way that she teaches has never failed them before. She tells them that she has the greatest mind in mathematics- and that although she cannot prove the assertions that her assumptive method makes, they should have faith in her ability to teach them correctly. In fact, having faith in her ability to make these assumptions will be the only way to get high marks in class, while having doubt will be a hindrance. Other students in the class were able to make this leap of faith and are happily satisfied with the result, not conflicted in any way. Content. The skeptical students are not satisfied with her answer. Now... some of the skeptics are conflicted, and from that point find it difficult to trust the teacher, even when the solutions to other problems can be reached just as she teaches them. However, their trust in the teacher has now been undermined- causing them to quit the class and question everything that she ever taught them. They've been tricked before and hold bitterness about it. They associate those past experiences with this one, and decide to quit math and become mass-comm majors. However, a few of the skeptics remain in the class. They are true skeptics, evaluating and investigating not only the claims that teachers make, but also their own emotional reactions to the world around them. They decide that the unverifiable claims are irrelevant obfuscations, and resolve to continue to pursue mathematics. They accept the fact that they won't get A's in this class due to their lack of faith, but have made that choice in order to pursue the subject matter with curiosity, openness, diligence, honesty, and critical thinking. And the above point is why, as a person who does not have a belief in god, gods, or even that the Buddha was somehow a sort of elevated human being, I can practice the dharma without being turned away by the parts that I would have to accept on faith. The above point is, I believe, where Buddhism becomes a religion as opposed to a philosophy. But not for me, and not for many other folks who approach Buddhism from a skeptical point of view. Hmm did somebody mention teapots earlier ??? The Chinese characters (so my Taiwanese friend told me) represent the "Heart Sutra"
It’s where you go when you “let go of the skepticism” that I find curious. For me, the natural world around us is our greatest teacher, and that natural world does not point to any man-made fancies such as hell realms. I’d say this is part of the basis, the grounding in the normal world which is our first birthright as humans. 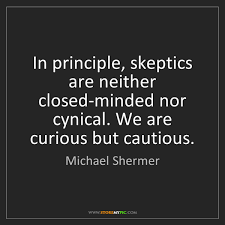 It’s not just skepticism which encourages this line of thinking, although of course the world is full of religious con-men trying to sell you their latest idea, and it behooves one to carefully probe with critical thinking what they’re selling before you take on board one iota. For me, the actions of the real world gradually accumulate into a body of evidence of how the world works. I find myself becoming more questioning of the miracles in religious scripture, the more I see of the real world. Levitating monks, teleportation, it all seems the stuff of dreams, not of the solid here and now. It’s where you go when you “let go of the skepticism” that I find curious. For me, the natural world around us is our greatest teacher, and that natural world does not point to any man-made fancies such as hell realms. It doesn't! But, when the hell realm is said to be a different world, it's not rational to look to this world, to try and gain information about a different world and then form conclusions about a different world, using the information you gained from looking at this world. It would be like a fish examining it's underwater environment to try and gain information about a mountaintop environment. Then, forming conclusions about a mountaintop, based on what it found underwater. That doesn't make sense. A fish has no mechanism or method to gain any information, at all. That's why things like hell realms are "unfalsifiable" and don't even fall within the realm of any kind of scientific investigation at all. To even try and investigate things like this, from a scientific perspective, is literally impossible. it all seems the stuff of dreams, not of the solid here and now. I would agree it is not of the here and now. Because the here and now is the human realm and that's it.